ProSilva Ireland has since 2000 been inviting leading ProSilva Europe professional foresters to Ireland. They share their knowledge of permanent (non clearfell), continuous cover forestry from their own regions where such forest practices are well understood, and which are often part of their countries established and long term sustainable forest policy. 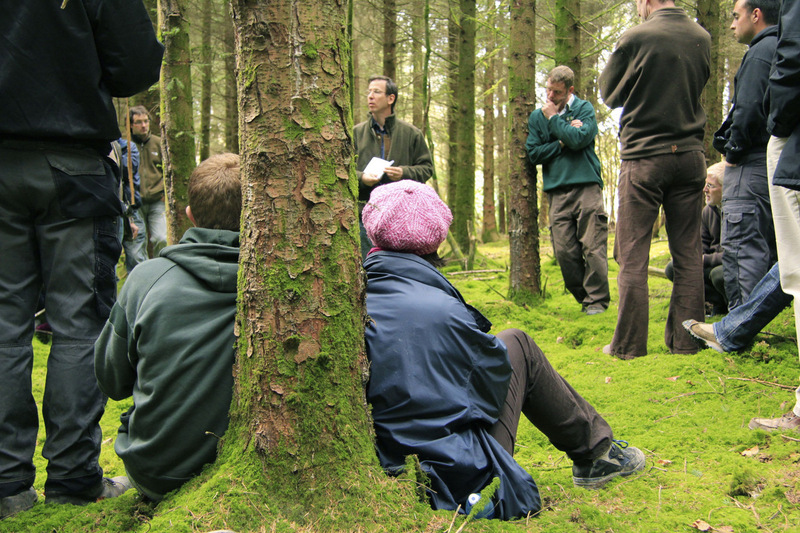 People coming from many varied perspectives have attended ProSilva Open Forest days – Irish foresters, forest owners/managers, harvesters and timber – millers, forest students and farmers interested in forestry. I became a voluntary committee member of ProSilva Ireland in 2009 and now look after their website and publications (its a role I seem to keep doing, years ago I edited the Crann (Ireland’s general tree/forest organisation) newsletter when I first came to Ireland, I also look after the ProSilva Europe main website too (www.prosilvaeurope.org). At the end of next month (27 April, 2012) ProSilva Ireland is organising its first 2013 public Forest Open day; it holds two such days a year and also organises one international study group to visit permanent, continuous cover (they say close-to-nature) managed forests in Europe. If you are interested, this years international trip is to the Czech Republic in May 9-12, 2013. In fact, my perspective of Europe is an unusual one; I know Europe best from its permanently managed and beautiful forests and have been several times to Slovenia, where they haven’t clearfelled for 64 years, and similarily in Hungary, Austria, Netherlands (the Netherlands close-to-nature forests have a special relevance to Ireland since over the last few decades ProSilva Netherlands have successfully established and developed permanent forests in the damp Polder region). I keep attending these days when I can as forests are complex communities. I still am learning to identify the strongest trees on my site in regards to ongoing thinning and noticing areas of my forest that developing, regenerating well. I also keep a watchful eye above to see that the canopy is not completely closed over, as a completely closed over canopy will limit younger seedlings from growing. These Open Forest days are so valuable to learn and gain confidence from others but also to see the growing numbers of sites around Ireland that are seeing the greater ecological and economic benefits of such forest management. As well as helping create vibrant mixed species, mixed aged forests by following ‘close-to-nature’ cycles (continuous cover – close to nature forest management is a form of ‘biomimicry), such forests also create more beautiful spaces and important habitats for wildlife. 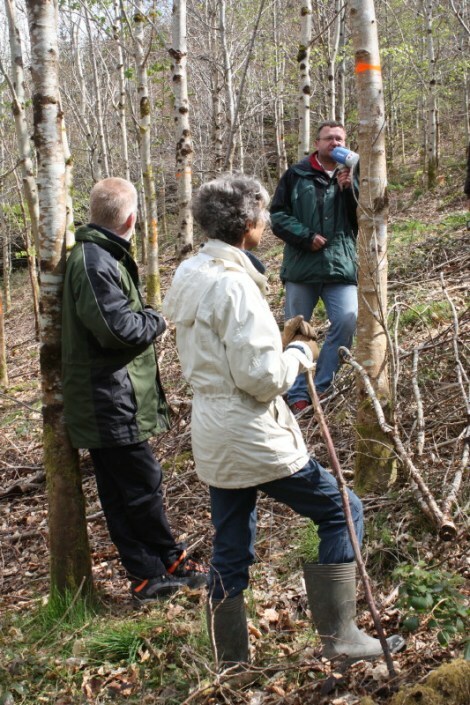 If you are interested in attending the Kildare ProSilva Open forest day details are here. The day is pretty informal, coats and boots needed as well as a packed lunch to share in the woods. Many thanks for reblogging this article. Growing interest in this type of forestry in Ireland and Great Britain, particularly in Ireland at the moment with the threat of the sale of our public forest harvest rights for the next 80 years hanging over us. Fascinating! I manage woodland on the west coast of Scotland and will be visiting Slovenia in September for a literary festival at Vlenica. Could you possibly tell me of a good example of a forest to visit near there, or anywhere else in Slovenia for that matter?